Regular chiropractic maintenance patients know something that you don’t … they “get” it – and it’s actually quite simple! Let’s face it, we all embrace and practice maintenance of our bodies in the typical ways. We maintain our dental health by brushing and flossing our teeth. We maintain our hair by getting regular haircuts. We maintain our hands and feet by having manicures and pedicures. We maintain a sleep schedule to ensure receiving enough rest. We maintain our complexions by getting facials. Why not maintain the health of the spine? The spine is the body part that makes every thing else happen! Nerves from the spinal cord are connected to all the organs and body systems that keep us going. 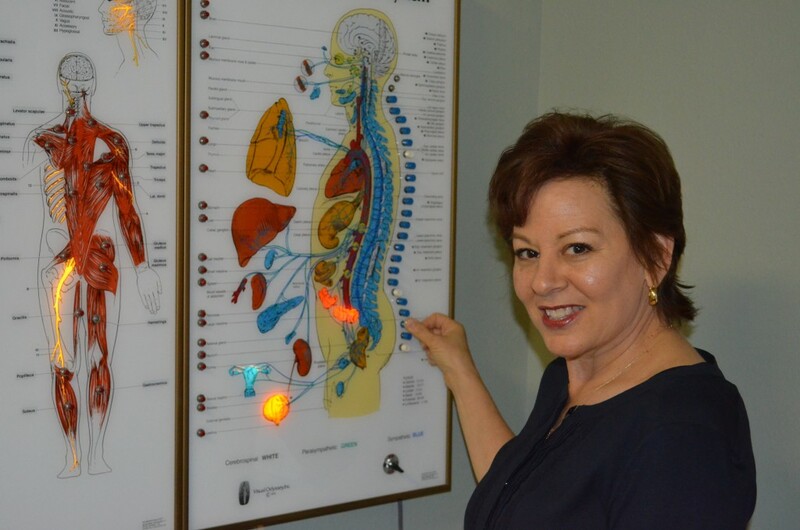 Next time you are in our office, ask at the front desk for a copy of the handout “Spinal Nerve Function – Every Cell of your Body Has a Nerve Component.” It clearly illustrates the network of nerves coming off the spine, sending impulses from the brain to virtually every cell in the body. Chiropractic maintenance makes perfect sense once you understand the function of the spine! Create a healthier you with customized treatment. Everyone is different, and you deserve an optimized treatment that is as unique as you are. Together, we will develop a strategy that will target every concern you are experiencing. We don’t offer or recommend “treatment packages.” Instead of predicting that you’ll need 15-20 visits in the upcoming weeks, your progress is tracked on an individual basis, visit by visit. Everyone responds differently, so it is virtually impossible to predict exactly how many treatments you will need. You will never be sold a “package” at Rosenthal Chiropractic Clinic. Find lasting relief from discomfort. Did you know that the National Institute of Health deemed chiropractic patients 100% healthier than non-chiropractic patients? Let us help you to get more out of your life, enjoy wellness, and live free from pain. Experience your life to your fullest potential. Improve your life with the right chiropractic treatment. Impulse iQ Whether the patient is 6 days old or a centenarian, this well-researched and validated treatment removes the guesswork from adjustment with its advanced computer-aided technology. The Impulse iQ can assist in treating a variety of conditions and ailments. This instrument uses the latest technology, based on years of research. If you want to see the difference in treatment with the Impulse iQ instrument versus manual “twisting and popping” just go to YouTube.com and type in the words “manual chiropractic adjustment” and find a video to observe a manual adjustment being performed. Be sure to also watch the video demonstrating the Impulse iQ adjusting instrument by clicking here, as a comparison. Cold Laser Cold Laser therapy is an FDA approved solution for Carpal Tunnel Syndrome, minor muscle and joint pain, arthritis, muscle spasms, and stiffness. It is a non-surgical, non-invasive, and painless technique which reduces symptoms (pain, inflammation, discomfort) in the affected area and has shown remarkable results. Nutrition Request a nutritional consultation with Dr. Marcy. We recommend and carry two excellent brands: Standard Process and Designs for Health® professional supplements and medical food. Both are pharma-grade quality products. Improve your quality of health with the best in chiropractic care. Join Dr. Marcy’s “Feel Good – Do More” Club today!